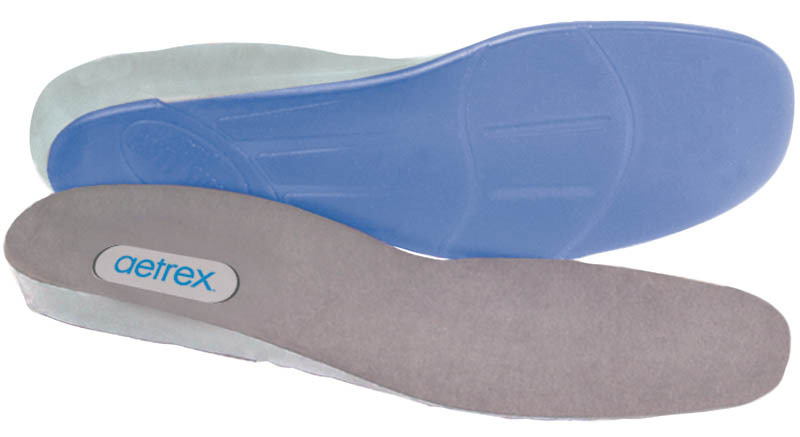 These Aetrex Walker/Runner Performance Insoles were designed by a doctor to provide comfort and stability while walking or running. The insole features a patented heel cup, longitudinal arch support and a soft metatarsal cushion to protect your ball-of-foot. Made with technologically advanced gel throughout the entire insole to absorb shock forces and comfort every step. Aetrex uses the finest medical grade gels available, designed to lessen shock forces and provide unmatched cushioning. Insoles are biomechanically designed with gel strategically placed at the areas of the foot most susceptible to pain. This entry was posted on June 20, 2014 by webmaster.